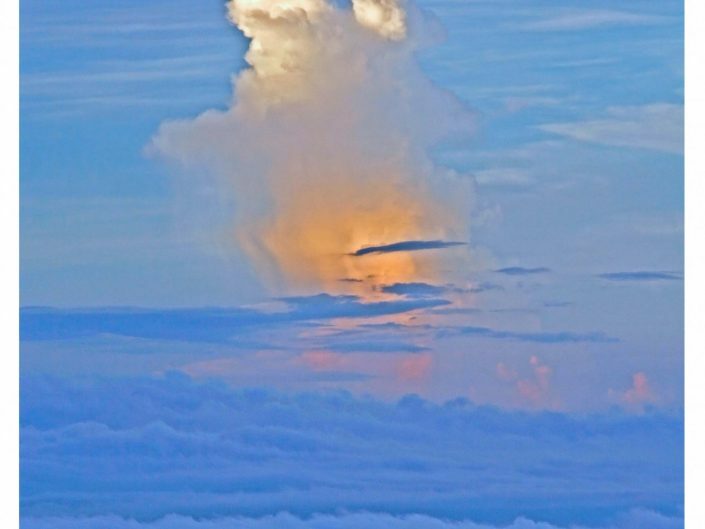 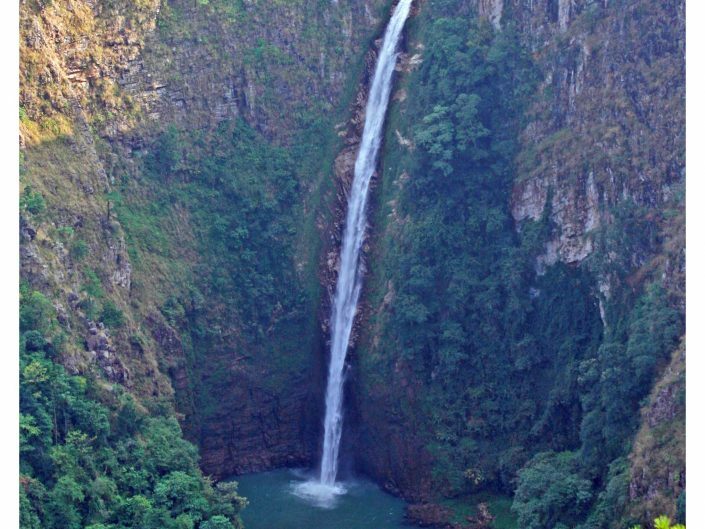 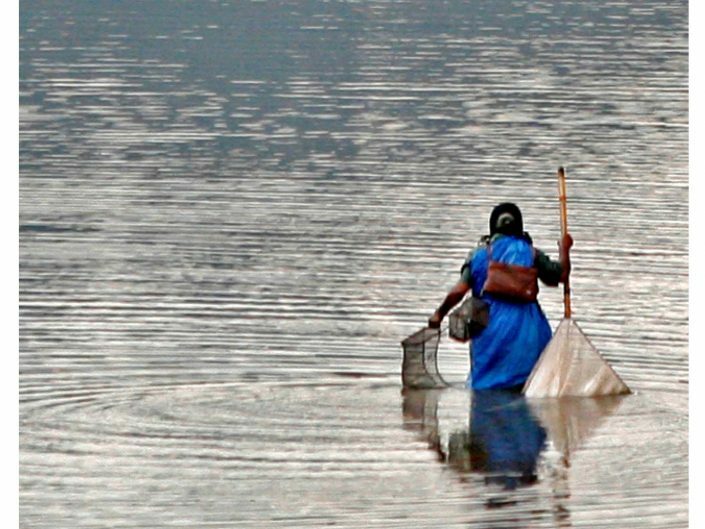 “ka Um” in the Khasi language means “Water.” The Khasi tribe’s homeland is in the state of Meghalaya, in northeast India, and is famous for its world-record rainfall and its resultant hills carved by rivers. 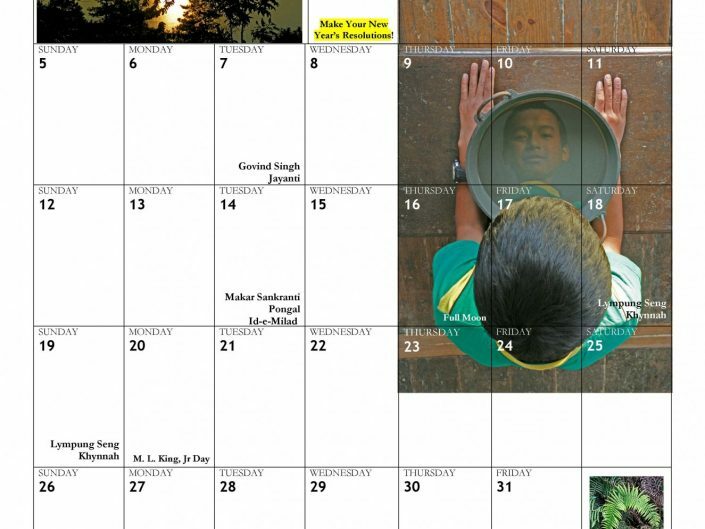 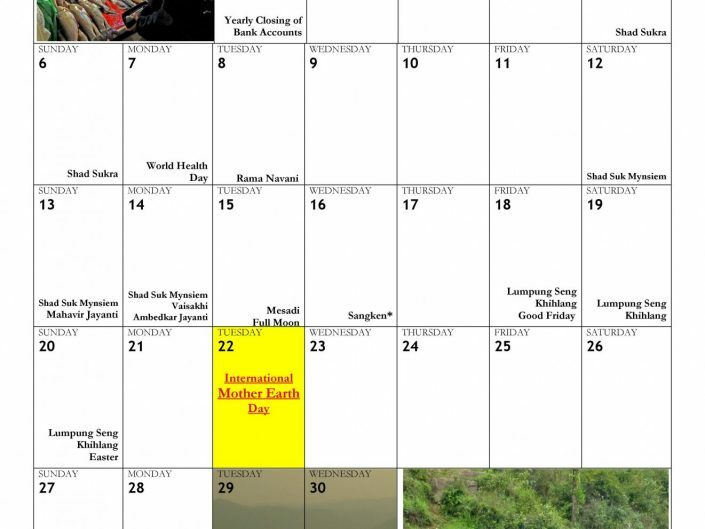 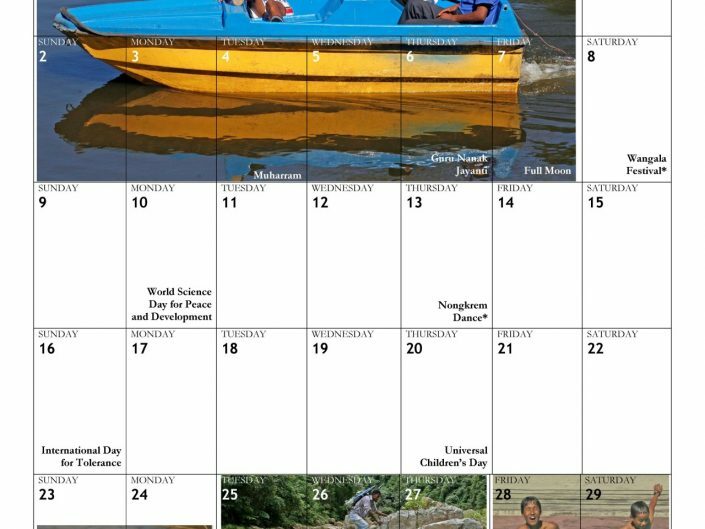 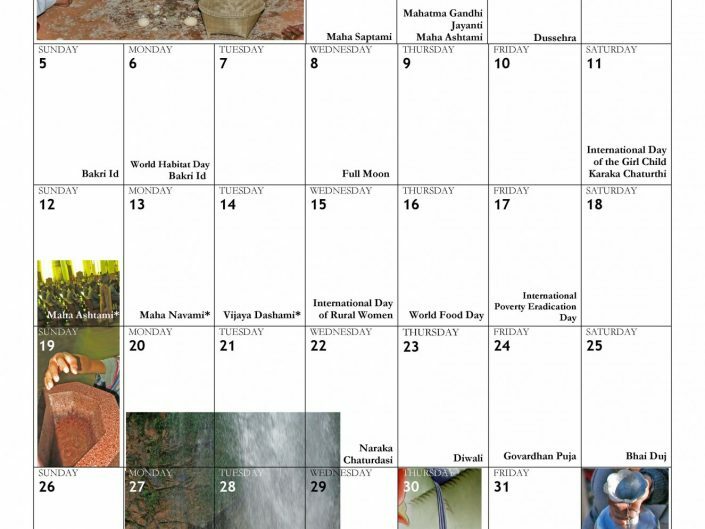 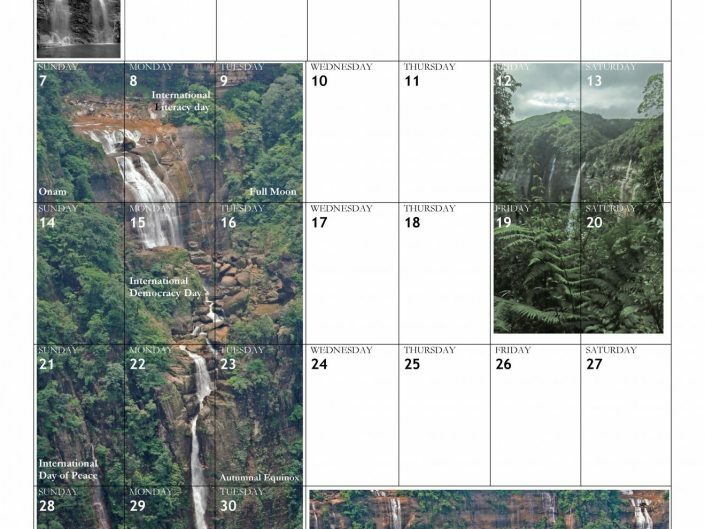 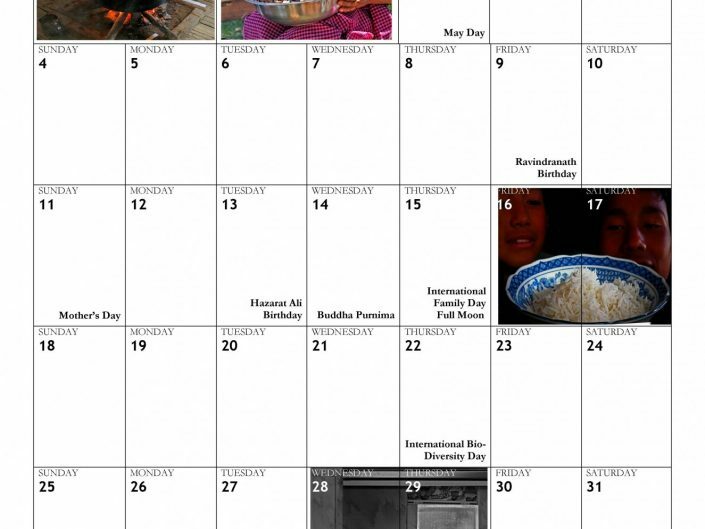 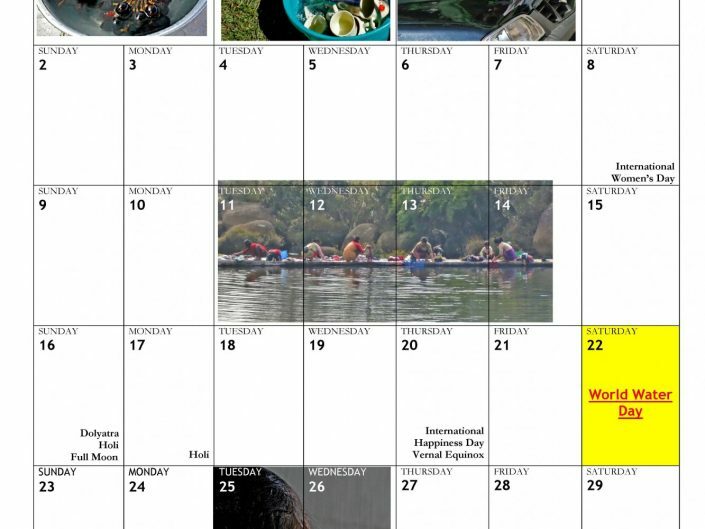 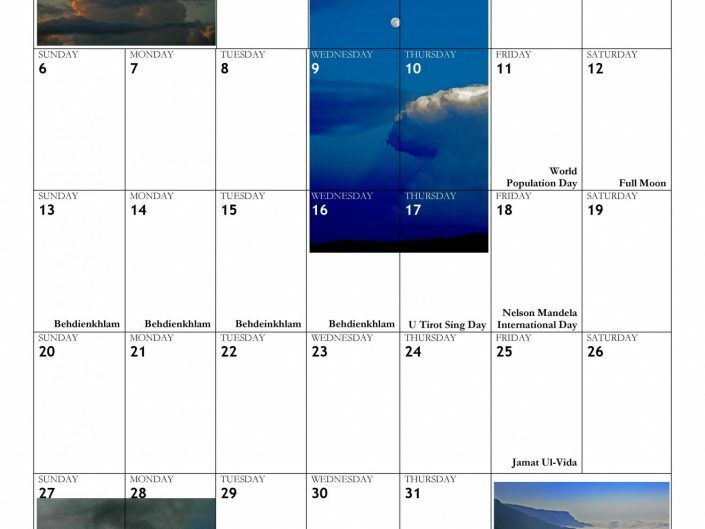 The calendar was commercially printed in Meghalaya. 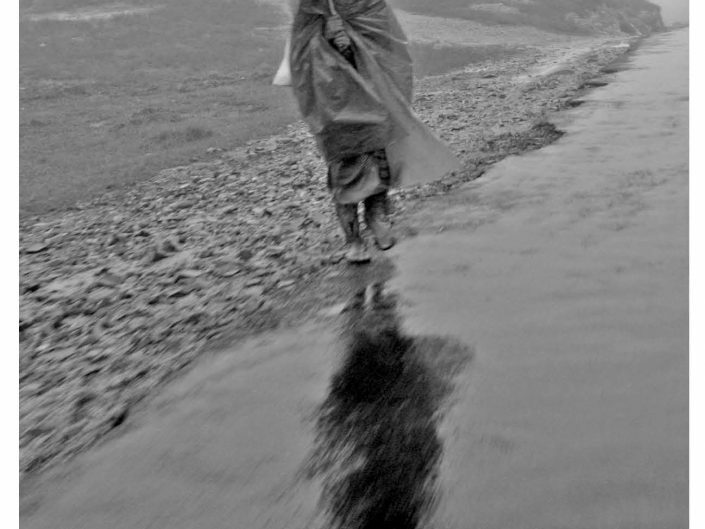 Print run was 500. 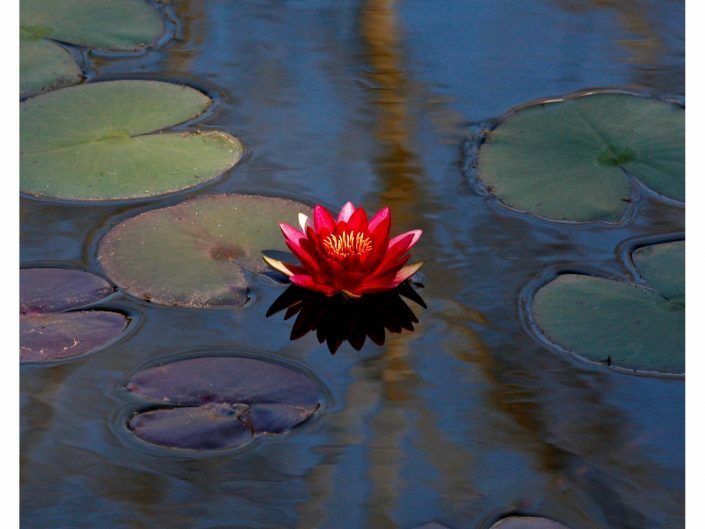 Size is 11” wide and 17” long when folded, and 11” x 34” when open and hung on the wall. 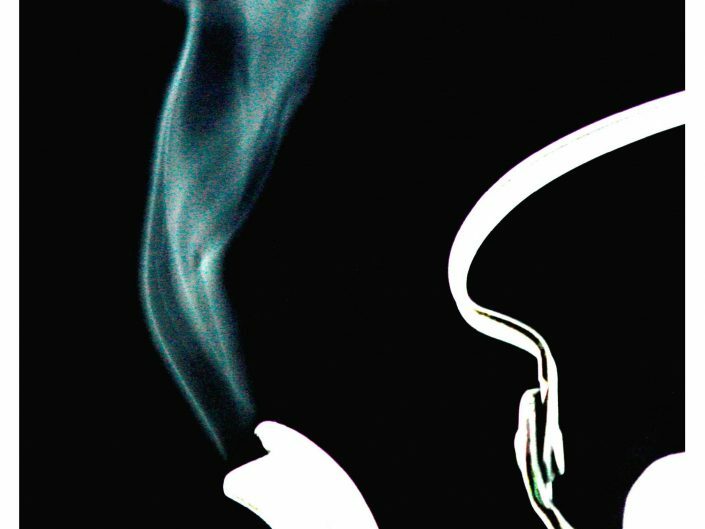 We are currently out of stock. 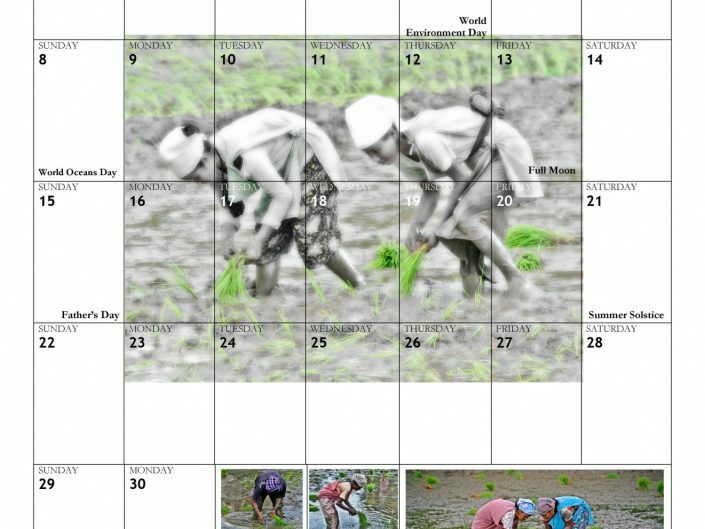 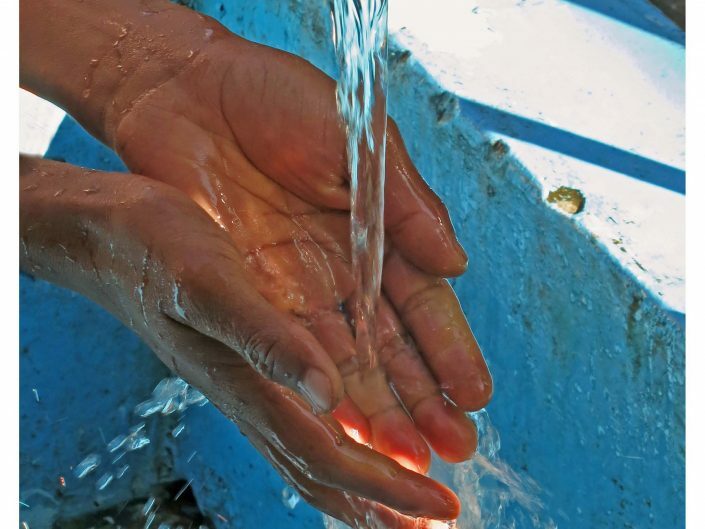 The purpose of the calendar was to raise people’s awareness of the preciousness of water, and to encourage them to conserve and protect it because it is irreplaceable. 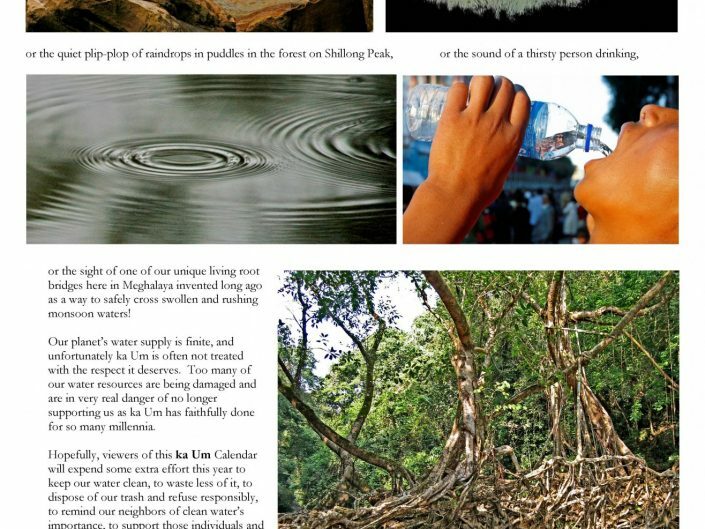 We especially wanted to educate the young people of Meghalaya, so there are a number of “water facts” included. 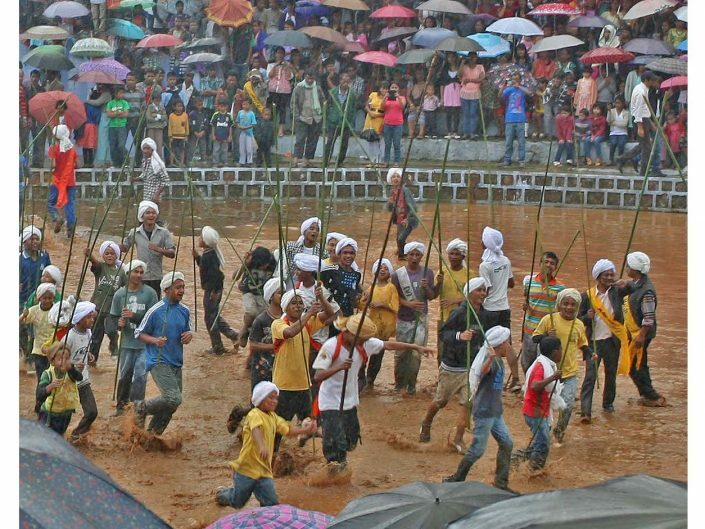 It was written from my wife’s perspective as she is Khasi, one of the three main tribes of Meghalaya, and we tried not to be preachy, or scolding, but rather accentuate the positive. 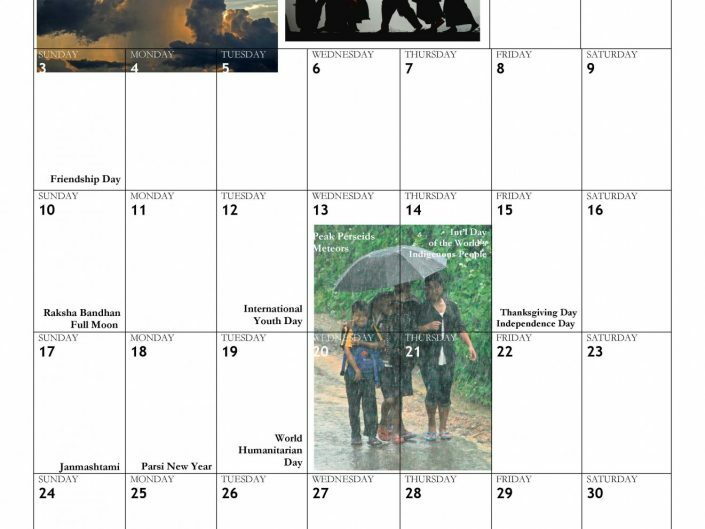 Calendars were mostly given away to friends and family around the world, donated to schools, or were given to needy local people who then sold them and kept the money, although several hundred were sold as part of our market research. 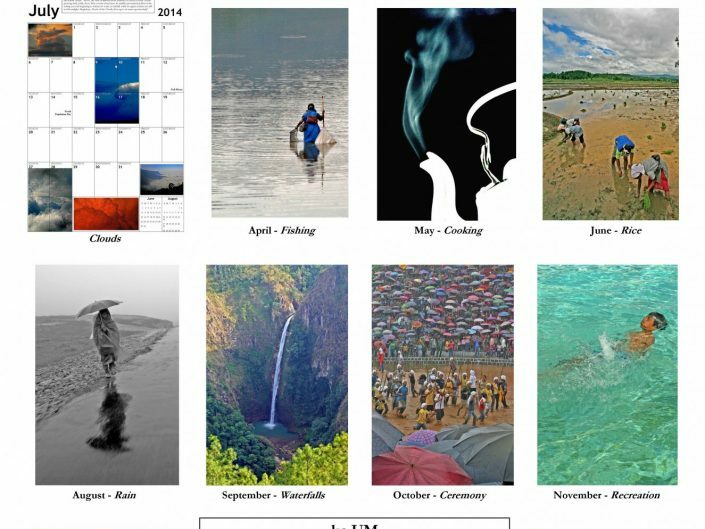 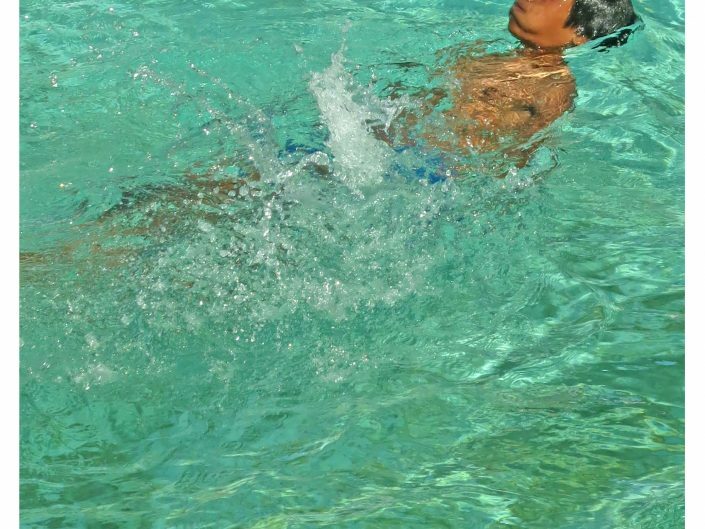 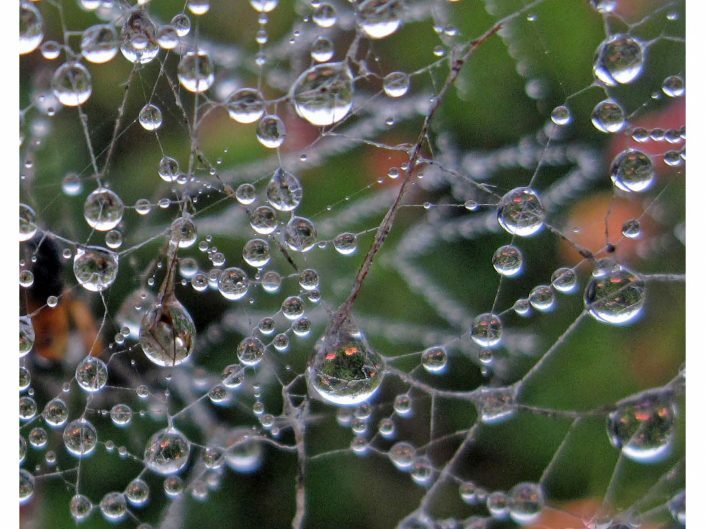 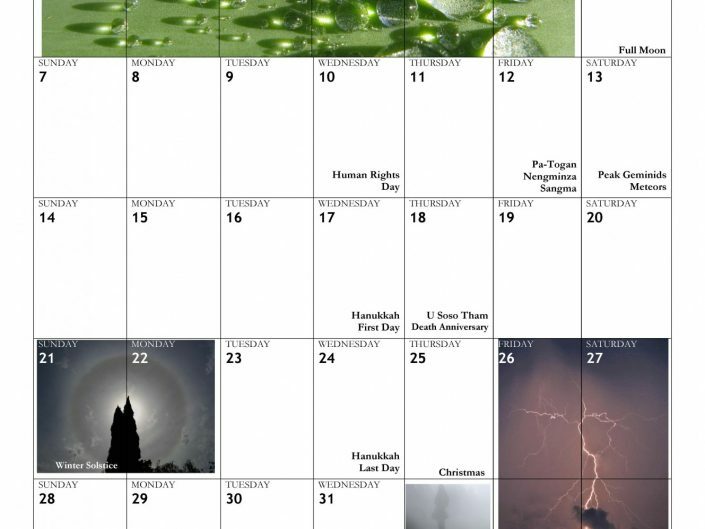 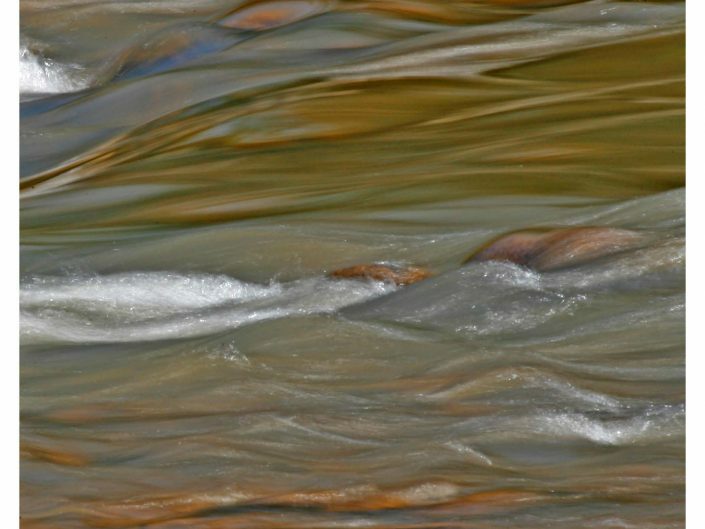 The 2014 “ka Um” (Water) wall calendar was the first in a trilogy of calendars. 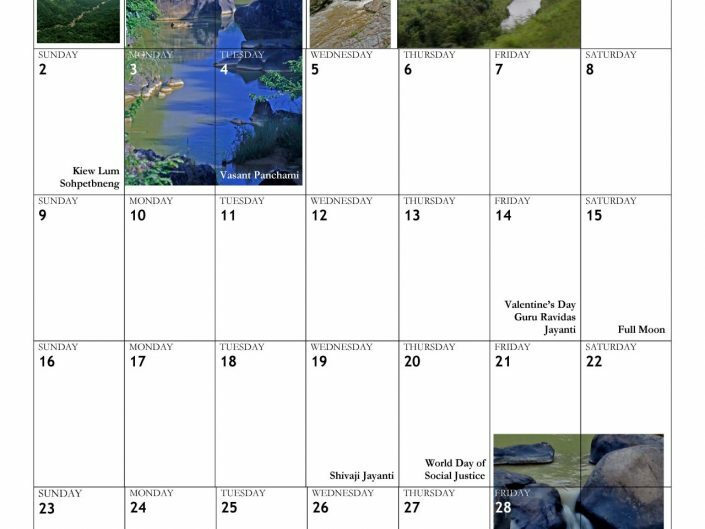 The 2015 “ki Lum ki Wah” (Rivers and Hills) was the second, and the third will be the 2017 “u Maw” (Rocks) wall calendar, to be printed in the Fall of 2016, and to be for sale here on this website as well as in shops in Meghalaya. 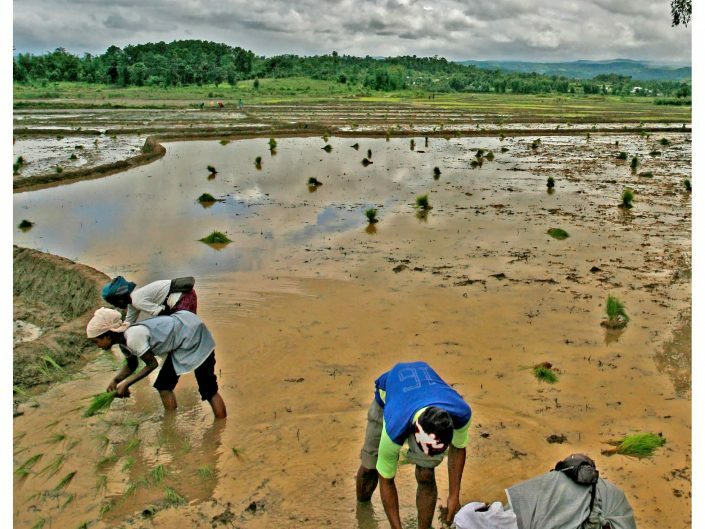 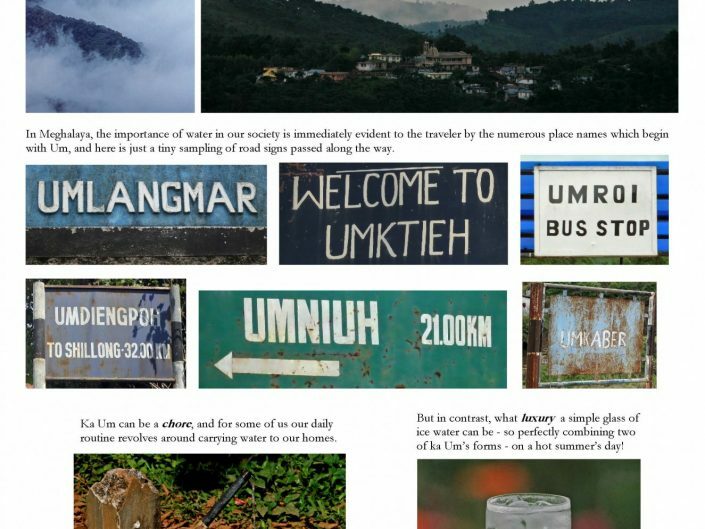 Many, if not most, villages in Meghalaya begin with the words Um, Maw, Lum or Wah, hence the trilogy, and the people there are very much tied to their land. 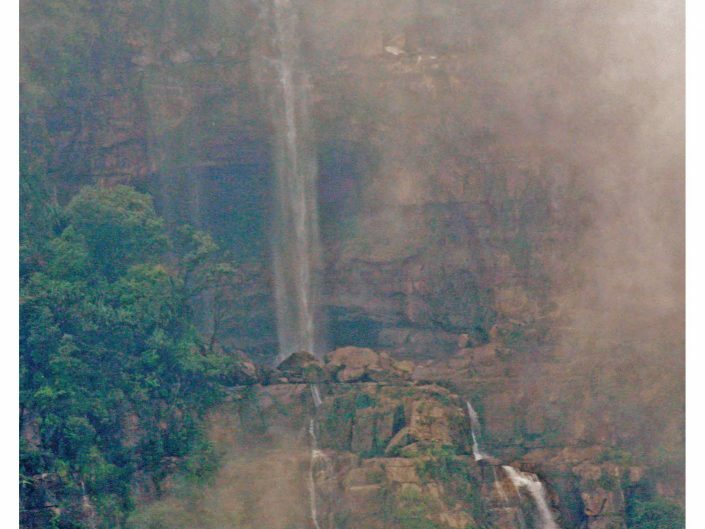 However, development, logging, agriculture and mining are fast eradicating the rich fauna and flora of this beautiful place.